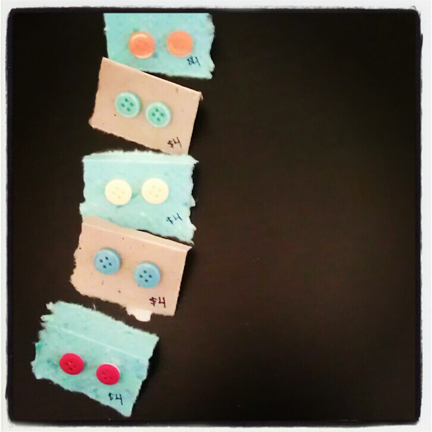 Had an idea for making button earrings. I have a mixed bag of vintage buttons, many of them make interesting earrings (I think) but there was only one of each. So I made a pile of single studs for the shop. I often wear different earrings on each ear, so I hope there will be people who like them as much as I do. But I also wouldn’t be too upset if I get to keep all of them. Especially the sweet orange rose. I was so tempted to keep it for myself. 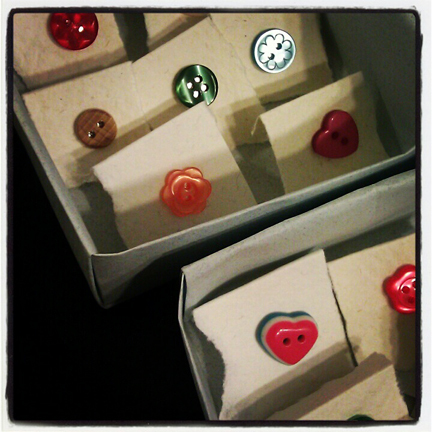 And I made pairs of button earrings. Very simple.